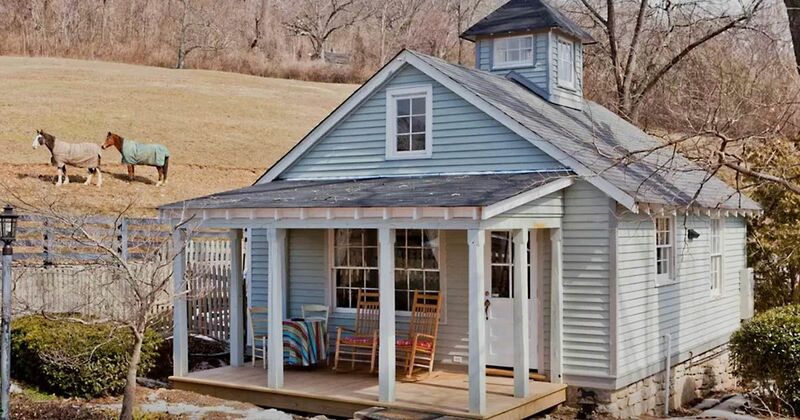 This peaceful Tennessee farmhouse cottage doesn't look exceptionally impressive from the outside, but the inside of it is a dream come true. The house is surrounded by a horse pasture, and horses can be seen from all angles in the house. While the exterior looks aged, the interior of the home was renovated in 2015. 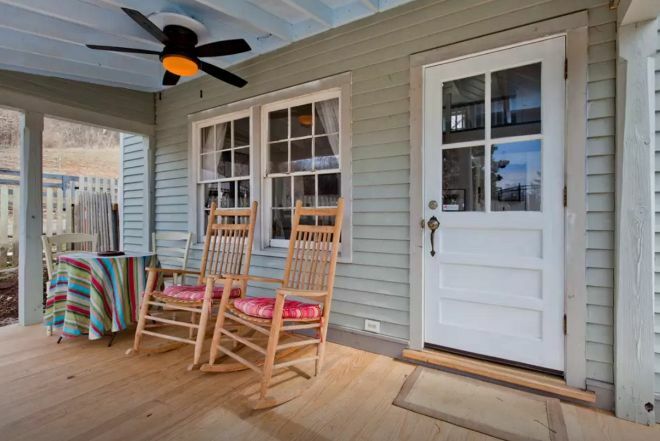 The farmhouse's exterior features a quaint porch with rocking chairs -- the perfect spot to spend a lazy afternoon. 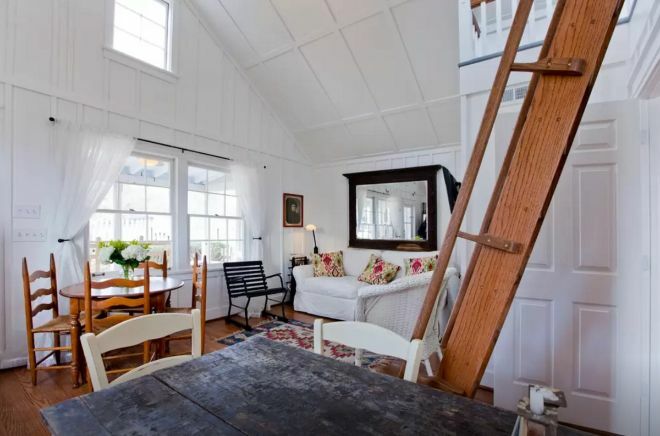 The inside of the main room features a staircase leading up to a loft. The large skylight lets light pour into the house. A cozy living area sits adjacent to the front door. The recently remodeled kitchen features matching stainless steel appliances. 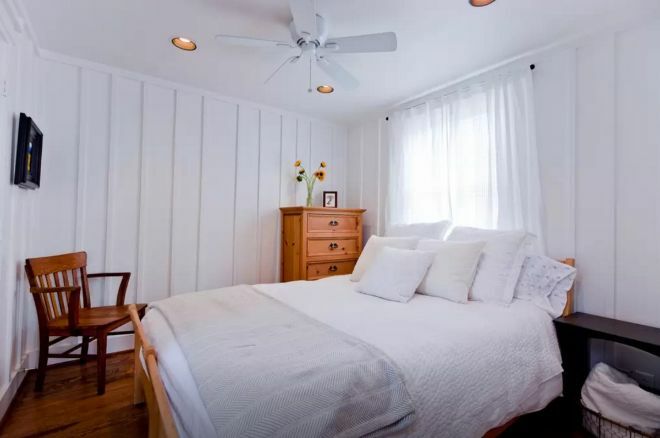 The master bedroom is simplistic and comfortable. 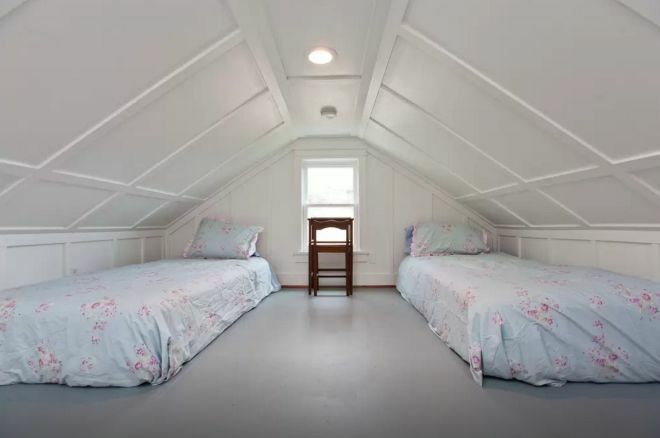 The upstairs loft features two beds, perfect for kids! 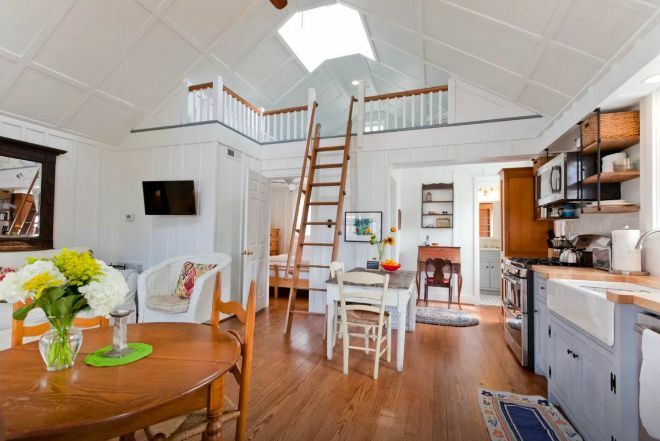 The home's Airbnb page describes it as "airy and breezy" and claims that air conditioning is rarely required because of how cool the house is. 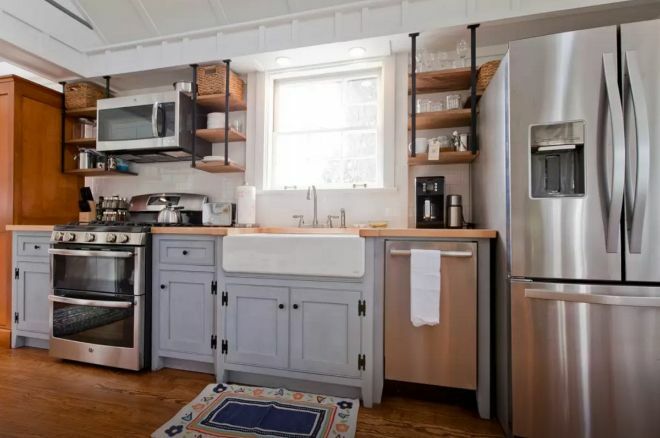 This Forest Hills abode, just 20 minutes from Nashville, can be rented out for $135 a day, and it comfortably fits four people. It's undeniable that white farmhouses are beautiful, but did you know that their signature color actually served a functional purpose? In 2013, architect Jon Nystrom built a retirement house for him and his wife. The 1,970-square-foot house won the Best Retirement Home Award thanks to its incredible features. 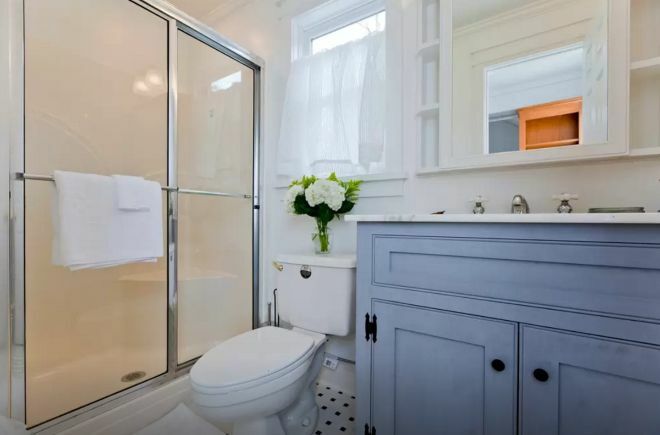 Athens Park Homes has perfected the art of making small spaces feel like palaces. Jordan is a mother of two with an eye for unique antique treasures. Layering vintage pieces with farmhouse staples brings her Alabama home to life.